How Can I Get My Bail Reduced? One of the things Massachusetts criminal defense attorneys have to consider when doing an arraignment is the potential issue of bail. Many prosecutors know very little about the cases their cases at the arraignment stage; particularly in the district courts. They arrive at work just before 9:00 a.m. and receive a stack of files. They review the police reports, often superficially, and look at the criminal record of the accused. Then, often without any investigation or contact with the alleged victim they request bail. Judges in the district courts, often fearful of bad publicity, set a bail. If the defendant has no immediate access to that amount of money, or will not ever be able to post that amount of bail they will ask their lawyer: How can I get my bail reduced? Here is the process and a recent case showing that all is not hopeless. G.L. c. 276 §58 permits anyone aggrieved by an order of bail set by a judge in the district court the right to appeal. The appeal is taken in the superior court. Bail reviews should be heard as soon as possible. You can get a bail appeal heard on the same day as it is set in the district court. While the statute is designed to promote same day appeals in reality it is usually a day or two before a superior court judge will entertain a bail petition. Most bail reviews are done through a video conferencing system. The defendant is taken to a room in the jail where he or she is placed before a video monitor. Another monitor is in the superior court courtroom so that the judge can see the defendant. The defense lawyer can be with his client or in the courthouse. A significant number of bail petitions are allowed each day. Oftentimes defense lawyers wait until they have investigated the allegations against their client before appealing district court bail orders. This is common in the more serious cases. Lawyers might need time to interview witnesses or obtain evidence demonstrating that the initial representations were exaggerated and that the case might not be as serious as once perceived. Take the recent case of a Salem man who, just ninety days ago was referred to as an animal who needs to be caged. He was held without bail for a domestic assault and battery case described a vicious. His defense attorney investigated the allegations and was able to show that the woman had a motive to fabricate aspects of the complaint. The superior court judge allowed bail but ordered home confinement and other conditions ensuring the safety of the community. Nearly all criminal lawyers have extensive experience arguing for bail reductions. Succeeding in getting bail reduced involves a thorough investigation of the case and an ability to show the judge that your client will not flee, commit additional crimes or in any way pose a threat to the community. 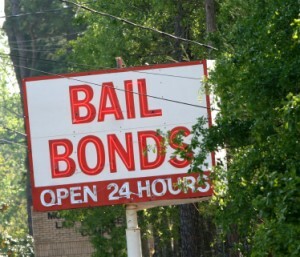 Our lawyers have handled hundreds of bail reviews with unmatched results. Call us at 617-263-6800 if you need help with your criminal case.